In the following links one can find Data Set Examples of each Publication presented in the Thesis Work, as well as the corresponding Pulse Program Code for Bruker. All 2D spectra have been previously phased and 2ii, 2ir, and 2ri files removed, otherwise data sets would be too big. 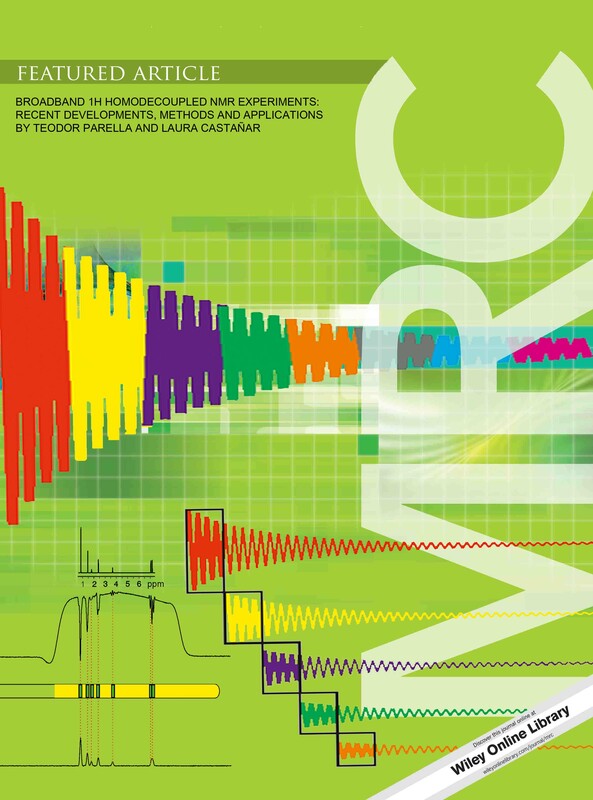 Title: Simultaneous multi-slice excitation in spatially encoded NMR experiments. Authors: L. Castañar, P. Nolis, A. Virgili and T. Parella. Reference: Chem. Eur. J., 2013, 19, 15472-15475. 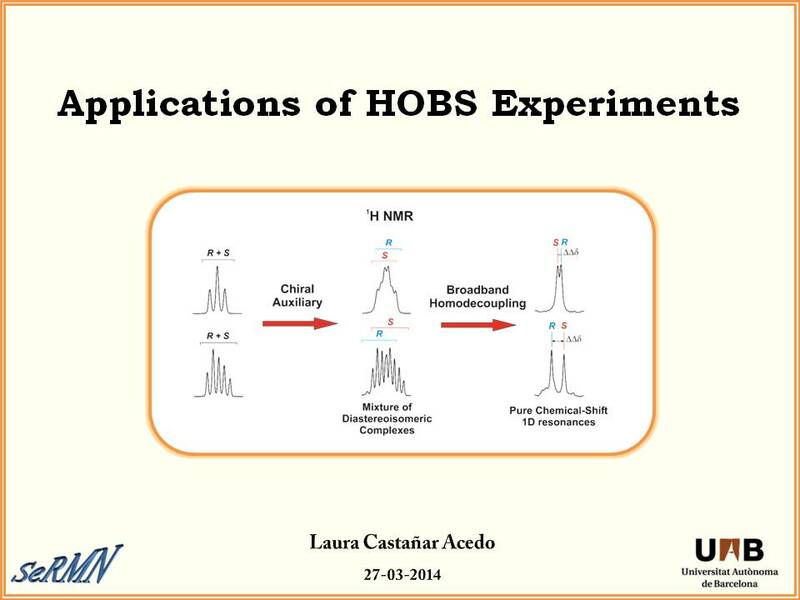 Title: Full sensitivity and enhanced resolution in homodecoupled band-selective NMR experiments. Reference: Chem. Eur. J., 2013, 19, 17283-17286. Title: Measurement of T1/T2 relaxation times in overlapped regions from homodecoupled 1H singlet signals. Reference: J. Magn. Reson., 2014, 244, 30-35. Title: Enantiodifferentiation through frequency-selective pure-shift 1H Nuclear Magnetic Resonance spectroscopy. Authors: L. Castañar, M. Pérez-Trujillo, P. Nolis, E. Monteagudo, A. Virgili and T. Parella. Reference: ChemPhysChem., 2014, 15, 854-857. 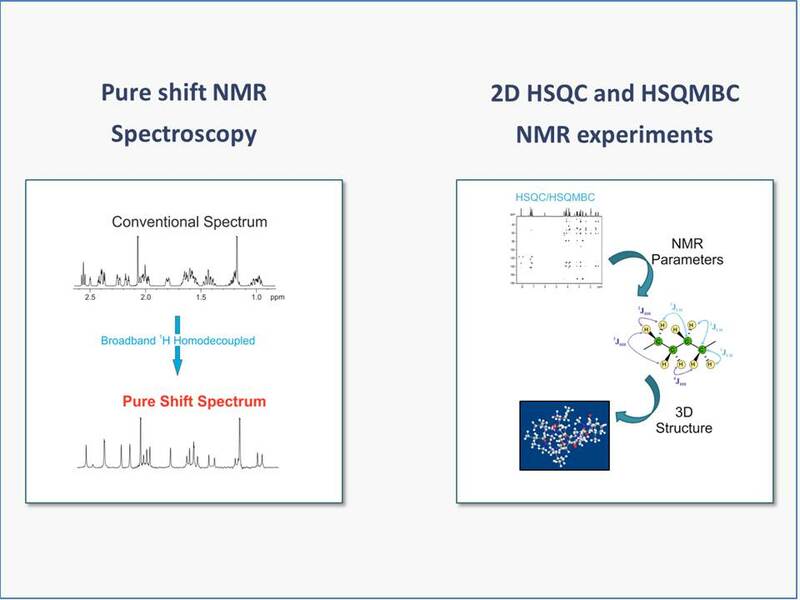 Title: Simultaneous 1H and 13C NMR enantiodifferentiation from highly-resolved pure shift HSQC spectra. Authors: M. Pérez-Trujillo, L. Castañar, E. Monteagudo, L. T. Kuhn, P. Nolis, A. Virgili, R. T. Williamson and T. Parella. Reference: Chem. Comm., 2014, 50, 10214-10217. 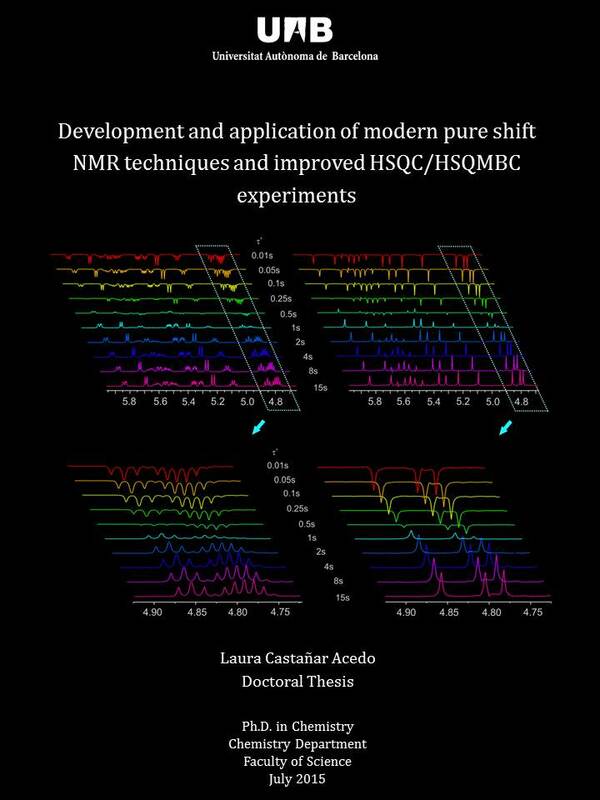 Title: Implementing homo- and heterodecoupling in region-selective HSQMBC experiments. Reference: J. Magn. Reson., 2014, 238, 63-69. 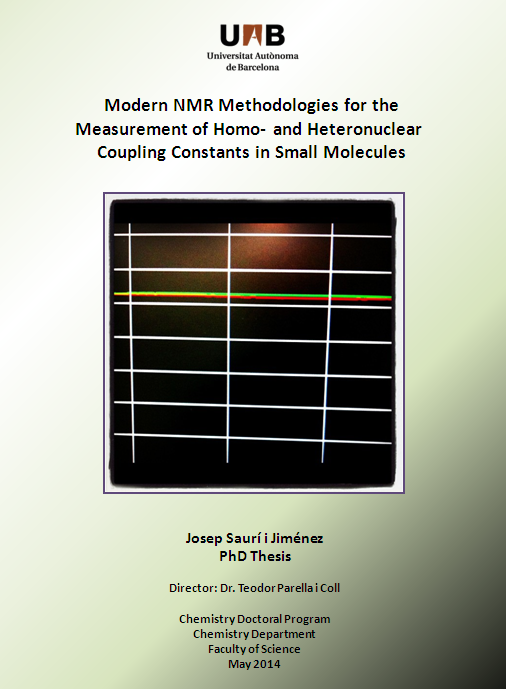 Title: Pure in-phase heteronuclear correlation NMR experiments. Authors: L. Castañar, J. Saurí, R. T. Williamson, A. Virgili and T. Parella. Reference: Angew. Chem. Intl. Ed., 2014, 53, 8379-8382. 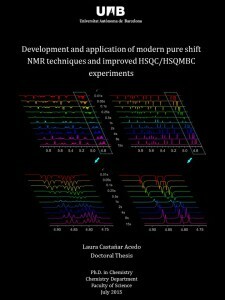 Title: Suppression of phase and amplitude JHH modulations in HSQC experiments. Authors: L. Castañar, E. Sistaré, A. Virgili, R. T. Williamson and T. Parella. Reference: Magn. Reson. Chem., 2015, 53, 115-119. 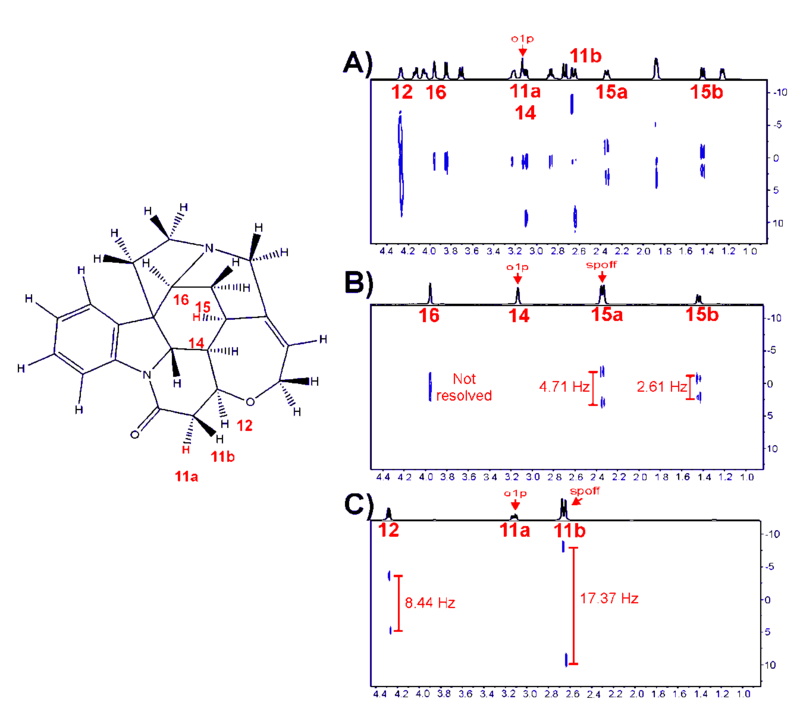 Title: Recent advances in small molecule NMR: Improved HSQC and HSQMBC experiments. Authors: L. Castañar and T. Parella. Reference: Annu. Rep. NMR Spectrosc., 2015, 84, 163-232. Authors: J. Saurí, P. Nolis, L. Castañar, A. Virgili and T. Parella. Reference: J. Magn. Reson., 2012, 224, 101-16. Authors: J. Saurí, L. Castañar, P. Nolis, A. Virgili and T. Parella. Reference: J. Magn. Reson., 2014, 242, 33-40. Reference: Mag. Reson. Chem., 2015, 53, 399-426. 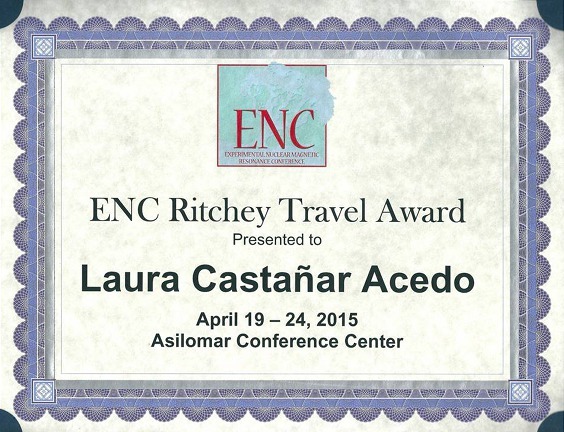 © 2015 – 2016, Laura. All rights reserved by the author(s) and Universitat Autonoma de Barcelona except for texts and images already copyrighted by third parties (e.g. journal publishers) and used here under the fair use provision.